Ahoj! Learn Slovak online through Skype from native tutors at a place and time that best suits your lifestyle to upgrade your opportunities for love, friendship, travel or business. Slovak spoken mainly in Slovakia belongs to the West Slavic branch of the Indo-European language family. The language is also spoken to a lesser extent in Croatia and Bulgaria. There are several different dialects within the Slovak language and are classified into three main groups: Eastern, Central, and Western. The dialects are mainly categorized based on the geographical location where they are used. Slovak is closely related to Czech. Since a great number of words are identical in both the languages they are mutually intelligible. In addition to Czech, a number of other languages have influenced the development of the Slovak language, most notably German, Polish and Hungarian. Slovak is written using Latin alphabets but with little variation. Along with the 26 Latin alphabets it also makes use of 20 more letters to indicate diacritic and diagraphs. A distinctive feature of the Slovak and Czech language that is not found in any other Slavic languages is that accent, or stress, is always placed on the first syllable of a word. Coming to Slovakia and wish to integrate more? Do you want to impress your beau with your Slovak speaking skills or want to teach your children Slovak? Here is a place to learn Slovak Online through Skype from our experienced Native Tutors. There can be several benefits of learning Slovak. 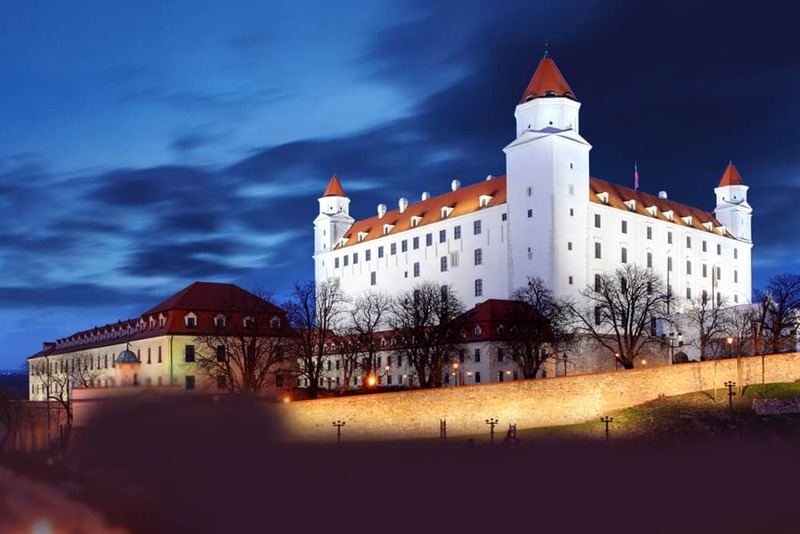 Slovakia is a naturally beautiful country to visit with beautiful landscapes along with deep history and traditions. Learning Slovak will open you new opportunities while travelling this fascinating country. You can experience the rich culture the country has to offer in a more intimate way. Another good reason to learn Slovak is while travelling on public transport. Outside major cities timetables and announcements of changes or delays are usually in Slovak only. Also learning the Slovak language will earn you some appreciation from the locals. If you know even know some basic Slovak words or phrases, the locals will love you immediately. If you are an expat knowing the local language can be very helpful for survival in the new country. Learning Slovak will also help you to experience some great works of art in their original language and get to know them as the author meant for them to be known. Are you looking for a flexible, effective yet affordable way to learn Slovak? Then we have some good news for you – you are at the right place. Our team of qualified native professional tutors will help you learn Slovak quickly and conveniently from the comfort of your home via Skype. All you need is internet access and a good set of headphones and you can start your Slovak classes at a place and time that suits you the best. Our qualified native Slovak tutors will customize your lessons as per your learning needs and learning pace. Our classes are very affordable since we do not rent expensive classrooms and make sure to pass the benefit to our customers. So enrol now and make your Slovak learning experience easier and fun! You can now take Slovak classes one-to-one using Skype with a tutor of your choice. Our Slovak lessons are custom, effective, comfortable, and fun. Pick a tutor NOW! Choose anything specific. Whether it is conversational Slovak classes, business Slovak lessons or just learning how to greet and impress a loved one. We can help you with them all.